Feed a cold, starve a fever. Or is it starve a cold, feed a fever? Whatever it is, this soup seems to always fix whatever cold or flu bug I’m trying to fight off. Though I can’t really make this a medical claim, with a bit of sweetness from the sweet chili sauce, and garlic and ginger for the asian twist, this easy and healthy soup recipe has all the ingredients to help clear a stuffy head, warm a congested chest cold, and soothe a sore throat. It’s my go-to, feel-better soup! A delicious, nutrition-packed, 30-minute meal so good that even kids will devour it. Creamy soup with no binders, no dairy, no beans, just pure goodness. 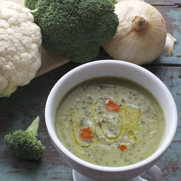 The creaminess comes from the cauliflower, which also naturally sweetens the broccoli. 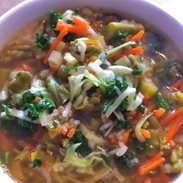 Perfect for cold days and when you just need a low-cal, healthful, hearty lunch or dinner. Don’t tell anyone, but I eat it for breakfast too! 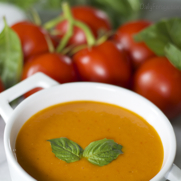 This gluten-free, dairy-free creamy tomato soup recipe lets the full richness of ripe tomato come through. The flavors will taste like you’ve been pampering the soup all day long, while the creaminess will have your family (or guests) convinced that you’ve spent pain-staking time seeding and skimming to achieve this velvety result. But you’ll know the process was easy! 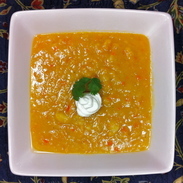 Our Creamed Dutch Split Pea Soup is gluten free and dairy free and full of vitamins and nutrition. 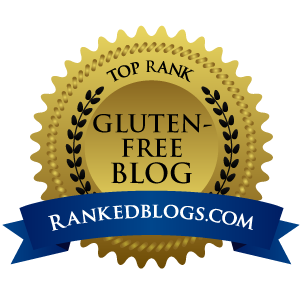 Packed with high protein, low in fat, and full of fiber, this soup is a complete meal perfect for people with celiac disease, or who have wheat, gluten, and milk allergies. This Asian Vegetable Soup is gluten free, dairy free, and can be made in a vegetarian version. Full of nutritious ingredients and packed with vitamins and antioxidants, it is healthy comfort food, sure to soothe a stuffy nose, sore throat, or chest congestion.